Another coffee based bot. He just walks around with cups for hands. He can’t pick anything up but he is pretty happy halfway through his left hand. Visit our webstore! Here’s the bonus bots. 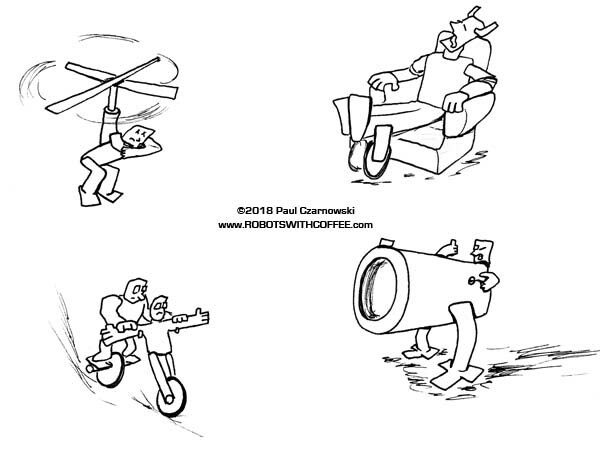 I think I was going to maybe work on the guy bottom right, a walking cannon who has to take aim…?